Having grown up in the eighties and nineties, when Richard Branson’s Virgin Empire was huge and omnipresent, it was hard to imagine a time when Virgin Records was just a small-time label tacked to a chain of record shops. It’s even harder when you consider that one of the label’s inaugural releases, Mike Oldfield’s Tubular Bells, was such a huge and consistent seller that it stayed on the UK album chart for several years. Until the late seventies, it was rare you saw a Virgin-label record in the Top 10 that wasn’t by Mike Oldfield; but despite this, the label managed to release a number of commercial flops that are highly-regarded works of art today: Faust’s Faust IV, David Bedford’s Star’s End and Edgar Froese’s Aqua, to name but three. For me, one of the most curious of Virgin’s early flops is an album simply titled Clearlight Symphony. 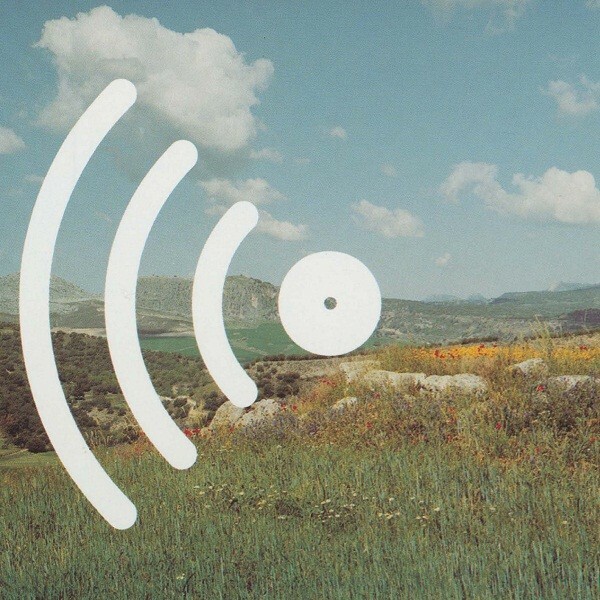 No band name — just an album title that at first wasn’t even printed on the cover. A symphonic/space rock album consisting entirely of two side-long pieces of instrumental music, coupled with some eye-catching sleeve art. Sounds familiar? It should — it was a conspicuous attempt to replicate (or perhaps, more accurately, to cash in on) the style, structure and success of Tubular Bells. The project was spearheaded by a French pianist by the name of Cyrille Verdeaux, who initiated proceedings by composing and recording two lengthy piano solos, onto which various other rock instruments were overdubbed. These piano solos form the bedrock of each movement, but rather than being virtuosic and technical solos, they’re chordal and strictly rhythmic. These piano ‘riffs’ are used to build particular themes which, while prominent at first, gradually move towards the back as additional instruments are layered on. The first movement makes use of traditional rock instruments: guitar, bass and drums in addition to the piano, mellotron, organ and synthesizers played by Verdeaux, giving it a kind of “jam rock” feel occasionally transgressing into jazz fusion. There is even some occasional saxophone that plays alongside Verdeaux’s piano vamp, bringing to mind some early works by Van der Graaf Generator. The guitar work is, for the most part, first-rate, with a real attention-grabbing solo around the nine-minute mark. The second movement eschews the drums, leaving just guitar, saxophone and synthesizers played by then-Gong members Steve Hillage, Didier Malherbe and Tim Blake respectively. The result is more symphonic, building primarily on Verdeaux’s piano riffs with a luscious layer of mellotron. In fact, there’s a small section around halfway through where it’s just the piano and mellotron playing together exquisitely, right before Hillage fades in gradually with one of his trademark, harmonic guitar solos. Tim Blake’s contributions give the movement a real cosmic flavour, not unlike his later work with Hawkwind. 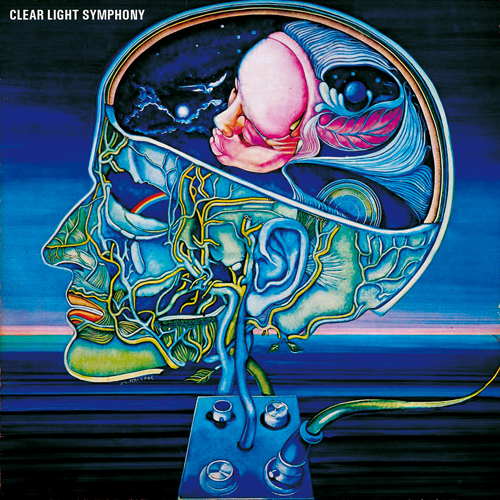 As an album, Clearlight Symphony is an instrumental prog rock gem, sitting in the same territory as Tubular Bells, but still a comfortable distance away. I don’t think it resembles TB too closely, as the flow of each theme into the next (with occasional recapitulations) contrasts with TB’s assembled-by-hand approach. At times, it’s like Pink Floyd’s Atom Heart Mother without the orchestration, Magma without the crazy zeuhl wortz, or even VDGG with guitar solos — either way, the calibre of musicianship is remarkably high. It’ll take a few plays for the themes to embed themselves in your head, but if you’re particularly open-minded about progressive rock, I think you’d find a lot on this album that will appease. However if, like me, you can never have too much mellotron — you’ll love it.